I can’t take credit for these lovely creation made using seed beads, that has to go to Chicago teenager. 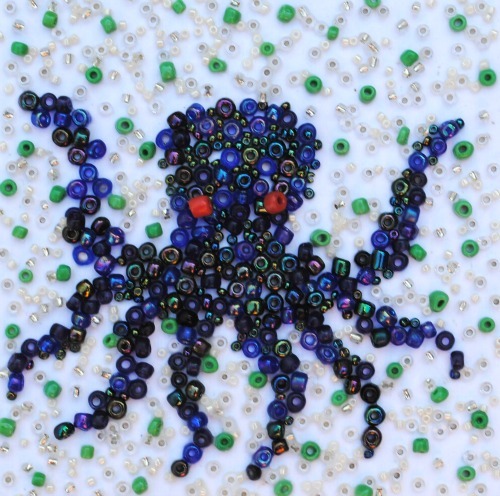 She started with the spiral and was then inspired to create more beachy themed designs…a crab, then an octopus. 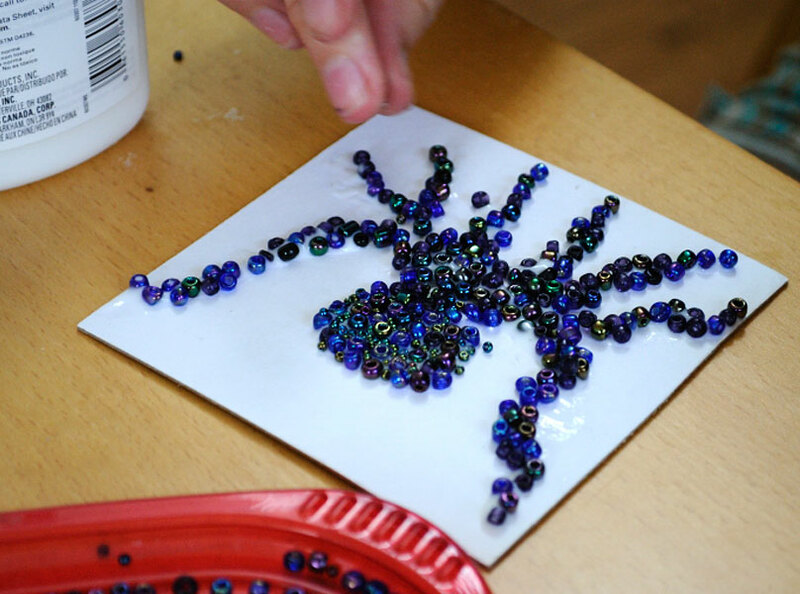 She simply used elmers glue to stick the beads down. There is one more in creation that is not quite finished… it is a sea horse. 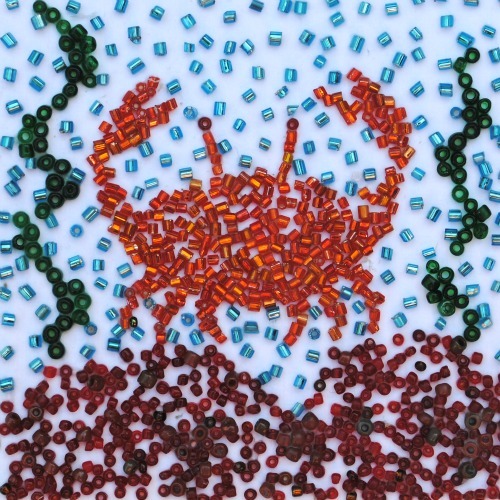 This entry was posted in Art, beads, Coastal Crafts, Craft Projects, Teenager, Wall Art. Bookmark the permalink. I work with seed beads so I appreciate how labor intensive those beauties are!